On Feb. 2, Russian Deputy Defense Minister Yury Borisov said that as long as there were similar aircraft that meet the requirements of the Armed Forces, there is no need to waste money on purchasing expensive new hardware. At the end of 2017 the T-50 (PAK FA) jet fighter will take to the sky with a new engine, but due to persistent defects it won't soon go into service with the Russian Air Force. 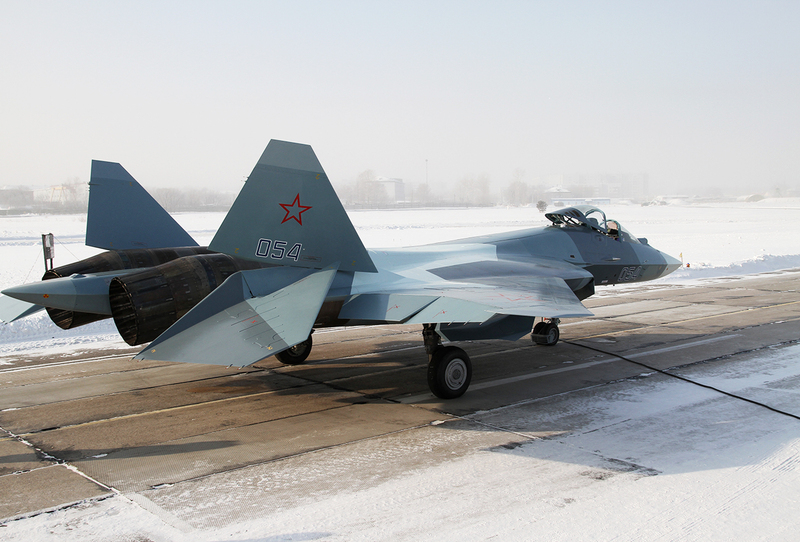 This is not the first time the launch of Russia's T-50 (PAK FA) fifth generation jet fighter has been postponed. Designers and senior officials at the Russian Defense Ministry originally gave 2016 as the year when the new aircraft would go into service, but now the deadline has been postponed indefinitely. "Most likely this will only happen in the next State Armament Program for 2018-2025," said Borisov, adding that the T-50 still needs to be perfected. Why is the project ’bogged down’ and is often postponed? Experts said it’s wrong to say that the T-50 is "bogged down" because developing an aircraft gradually in stages is common practice. "There have been misleading stories in the media, but the project is not bogged down," said Viktor Murakhovsky, editor-in-chief of the magazine, Arsenal Otechestva. "All stages of work on the aircraft are on schedule." The designers are working on a new fifth generation engine, Izdeliye-30 [Product-30], in order for the fighter to meet all the challenges of the new era. Flight tests of the new engine will start at the end of 2017, or in early 2018. "It will take the designers another two or three years to finalize the project before the aircraft goes into series production and into service with the Russian Air Force," said Murakhovsky. What will the new engine do? The new engine will make it possible for aircraft to maintain cruising speeds during supersonic flights, with a speed of Mach 1.6, (about 1,200 mph), depending on the location over which the plane flies. The engine will also significantly improve the PAK FA's stealth capacity and cloak it from enemy radar thanks to new composite materials. "Development of the engine stalled in the 1990s and early 2000s due to the collapse of the country," said Murakhovsky. "Scientific and technical research programs were either closed or curtailed. Hence, designers have to catch up in a short period of time." This is one reason why the U.S. is ahead of Russia in the creation of fifth generation fighters. What new weapons will be on the PAK FA? The aircraft will be equipped with one of the lightest guns of its class, 9-A1-4071K, which can destroy the enemy's armored vehicles and other armored targets. During one flight the pilot can use up to 150 rounds of this 30 mm caliber gun. The aircraft will also accommodate air-to-air and air-to-ground missiles, which are currently undergoing battle testing at military ranges. When will the T-50 go into service? The first batch of T-50 fighters will arrive this year, but they will go into service with the engines and characteristics of the Su-35S 4++ generation fighter. "The Russian military will receive proper fifth generation fighters only two or three years after tests are completed, and starting in 2021 Russian skies will be protected by the latest T-50 fighters," said Pavel Bulat, director of the Mechanics and Energy Systems International Laboratory at the University of Information Technologies. Supplies abroad: to whom, when and how much? Designers will have export permission three years after the PAK FA goes into service in the Russian military, which is tentatively in 2024. "It will be an aircraft that will outperform our main competitor, the F-22, in maneuverability, weapons and range," said President Vladimir Putin, adding that the PAK FA will be almost three times cheaper. However, the price of the export model is in question because of currency fluctuations. "India, Algeria and Peru will be the first customers, and they have already expressed their wish to buy the aircraft; only changes in the geopolitical arena can prevent this," Murakhovsky concluded.